Curiously situated on NW 28th & Penn Ave, Rococo Penn is a quaint eating spot in the Shepherd Historic District. The menu presents an eclectic display of Italian, French, Asian, American Steakhouse, and East Coast seafood, including the famous Rococo Crab Cake and Sunday brunch. Married to wife Amber and the loving Dad to two rambunctious boys, Bruce Rinehart is the owner of Rococo and the executive chef of Rococo Penn. 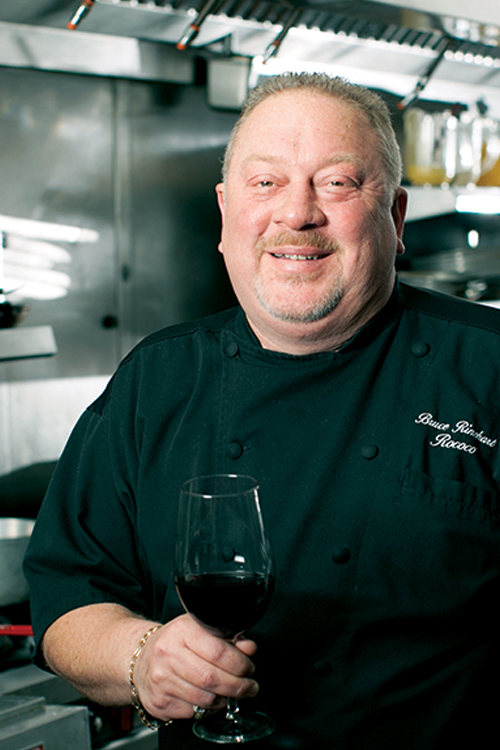 Chef Bruce spent his early years honing his craft in some of the best in kitchens in America. In 2003, he moved from Boston to Oklahoma City to open a great East Coast style restaurant on the middle coast. Chef Bruce’s gregarious personality is directly responsible for the relaxed, yet attentive, service you can expect from Rococo restaurants. Anchoring The Shoppes at Northpark, Rococo Northpark is a mix of warm ambiance and lively character. 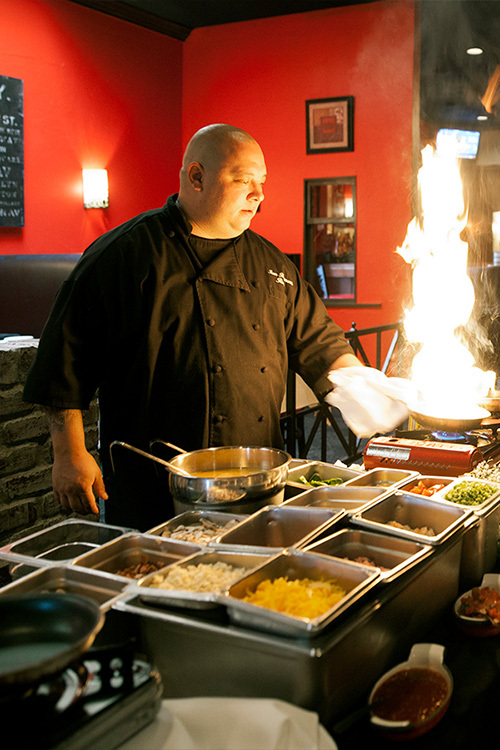 In addition to an inventive menu of steaks, pastas, and East Coach seafood, the restaurant includes two bars, an intimate fireplace nook, a private dining room, and the popular chef’s table. Chef Jason Bustamante started working with Chef Bruce Rinehart as a food runner at a Connecticut resort. After moving up the “line,” Bustamante followed Rinehart to an upscale Boston restaurant where he learned to master every corner of the kitchen. In 2003 Chef Jason moved to Oklahoma City to help Rinehart open his own “East Coast style” concept – Rococo Restaurant & Bar. Chef Jason opened Rococo Northpark in 2011, where he is the managing partner and executive chef.